Free spirit. Music lover. Caffeine-dependent lifeform who talks in his sleep. 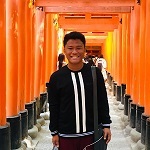 Bryan is an MA CommArts graduate from the University of the Philippines - Los Baños who enjoys learning outside school and subsists on a steady diet of anything sweet.